Faith to Fathom, Strength to Surrender. This is a story I did for a project called , ‘Being an Indian Woman’. Here is my heartfelt story. This is a feature I did for Yowoto about how my daughter reacted to one of the most popular ads and I wonder where do her reactions come from. This is an article I wrote for DNA – about how to raise an introverted child. It is an area we as parents, teachers and caregivers need to focus on. 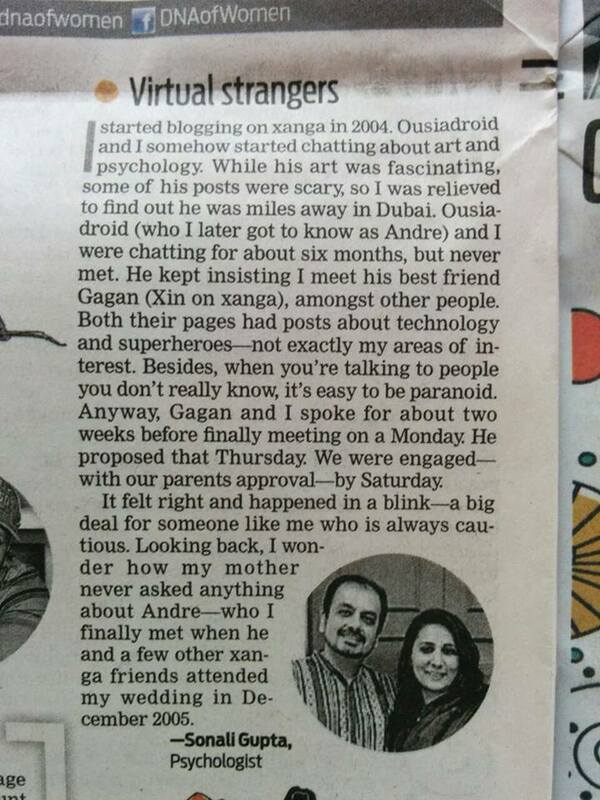 This is a story I did for DNA about how 10 years back, while blogging on Xanga, I found my husband and love blossomed.